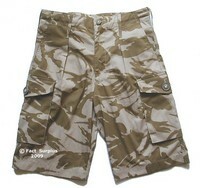 British Army desert camo shorts. Current issue. Chunky buttons, front waist pockets, 1 to rear. 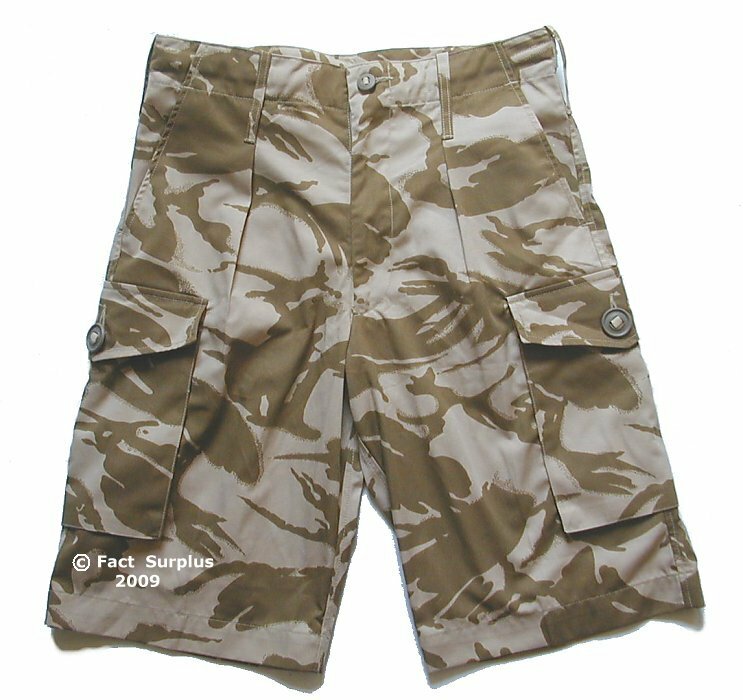 Big leg cargo pockets. Waist adjusters plus waist drawstring. 3 inch belt loops. Excellent G1 condition - most are like new. 26" waist. Length medium. Br.24/68/84. Brand New. 36" waist. Length long. Br.30/92/108. 36" waist. Length Xlong. Br.33/92/108. 38" waist. Length medium. Br.27/96/112. 40" waist. Length Xlong. Br.33/100/116.